~Jennifer~ | 9:00 AM | book review | Netgalley Please comment! The length of the preview was more than I expected, and I kept an eye on how much was left so when it ended I wouldn't be too jarred and traumatized. ;) I'm invested in this story and the characters, and am anxiously waiting to find out how everything is going to play out. 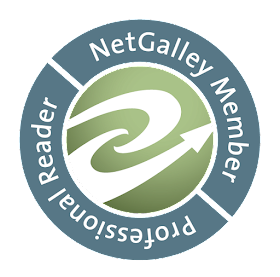 ~Jennifer~ | 1:36 PM | book review | Netgalley Please comment! ~Jennifer~ | 4:51 PM | book review | library Please comment! Title: Do Androids Dream of Electric Sleep? By 2021, the World War has killed millions, driving entire species into extinction and sending mankind off-planet. Those who remain covet any living creature, and for people who can't afford one, companies have built incredibly realistic simulacrae: horses, birds, cats, sheep. They've even built humans. Emigrées to Mars receive androids so sophisticated it's impossible to tell them from true men or women. Fearful of the havoc these artificial humans could wreak, the government bans them from Earth, but when androids don't want to be identified, they just blend in. Rick Deckard is an officially sanctioned bounty hunter whose job is to find rogue androids and retire them, but cornered, androids tend to fight back--with deadly results. 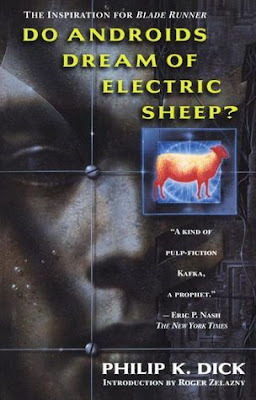 I can't remember where I heard about Do Androids Dream of Electric Sheep? as I've never seen Blade Runner but am so glad I read this book. One of my favorite things about science fiction is that it delves into an exploration of human existence and what can go right as well as what can go horribly wrong. It gives me a lot to think about, and I really like that. In a post apocalyptic San Francisco, a man named Rick Deckard is a bounty hunter assigned to kill, or retire, androids ("andys"). As you'd imagine, it's a depressing world where most of humanity is either dead, sick from the nuclear fallout or have emigrated to Mars. Animals have pretty much died out except for a select few which are super expensive to own. To buy one you have to take out a loan as though you're buying a car. There were really cool twists I didn't see coming. Who's an android and who isn't? Rick has to give a test that's designed to tell an android from a human, but how effective is it? I thought about how hated the androids are and how afraid humans were of losing what's left of humanity. I think that's always been a very real fear as long as humans have been around. Sometimes there were a few spots where I wish things had been explained a little more clearly, such as Mercerism, which was like a religion. It probably just went over my head, haha. 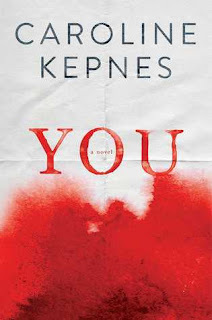 Ack, I wish I could explain how I felt and what I thought after finishing this novel. Do Androids Dream of Electric Sheep? is written so well, and my review can't do it justice. If only you guys could see into my brain for just a quick minute! My thoughts are so complicated, I can't even. Can't. Even. 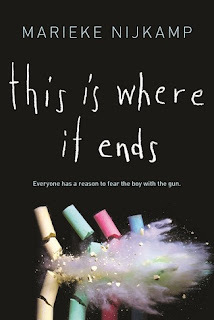 Read this book! It's especially fitting with the struggles the world is now facing and will be facing in the future. ~Jennifer~ | 2:16 PM | audiobook review | book review | library Please comment! I'm going through a thriller phase right now. Over the last couple of months, I've read four or five of them and have enjoyed them all. After reading a review for Behind Closed Doors, I happened to see a comment on the review recommending this series, and that's all it took. I was sold. You was edgy, scary and fun. I love unreliable narrators, and it was pretty clear from the beginning I couldn't trust Joe's version of events. He's a stalker, for one, and two, he has a distorted view of what a relationship should be like. I'm still trying to figure out how he finagled his way into transforming himself from Beck's stalker to her boyfriend. Obviously she didn't realize she was being stalked, but still. He's just so smooth that one would never suspect there's a dark and dangerous side to him. He's well read and intelligent, and on the outside appeared to be "normal." For a few weeks everything's peachy, but I knew Joe and Beck were heading off the rails at any moment. He was too freaky about her, and really, I didn't think there was anything special about her. She was quite annoying as a matter of fact - someone I'd never want to hang out with. As unhealthy and unattainable his views on relationships are, Beck was never going to give him what he wanted. I saw that from the get-go. She had issues herself, like a complete lack of self respect and the attention span of a gnat. You had plenty of surprises and held my attention throughout, and as weird as this sounds, I actually wanted more of Joe. He weaves an interesting tale and seeing the inner workings of his mind is disturbing but also like a train wreck - you can't look away. Hmmm...Hidden Bodies didn't live up to its predecessor, You. I think part of the problem was the emphasis on secondary characters who weren't interesting. Joe seemed tamer this time around, and there were parts I had to listen to repeatedly because I kept zoning out leaving me to wonder if I missed something important. But nope, I never did. Those moments were mostly in the beginning when Joe meets his new girlfriend Love's family. There just wasn't enough of what made the first novel so likable for me. 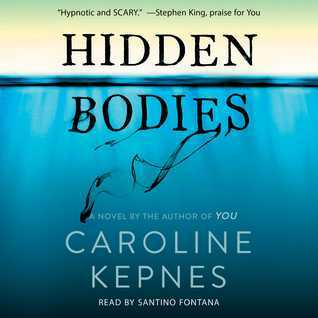 I listened to a huge chunk of Hidden Bodies in one day once I was in the middle of the story - I had to know what was going to happen! Another strange thing I encountered was some of the story depressed me, and I almost had to take a break from listening but didn't really want to stop. I became so wrapped up in it I had to remind myself I wasn't in the story, and that's likely because I spent 4 or 5 hours in a row listening to it. Santino Fontana as the narrator was fantastic. His voice was exactly how I thought Joe would sound. I quite enjoyed his Californian accent for the local characters. There are parts of Hidden Bodies I'd listen to over again just because of his talented reading of this novel. So while the story didn't live up to the first novel, I would still recommend it because you need more Joe in your life like I did, haha! I really hope there's a third book and that it can capture the essence of the first novel! 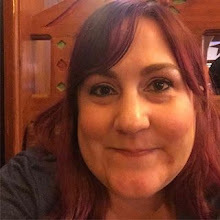 ~Jennifer~ | 4:46 PM | book review | Netgalley Please comment! This place is full of secrets. And they won't leave me alone. The Dogs was a super creepy read that I guarantee will spook you, especially if you read it at night. 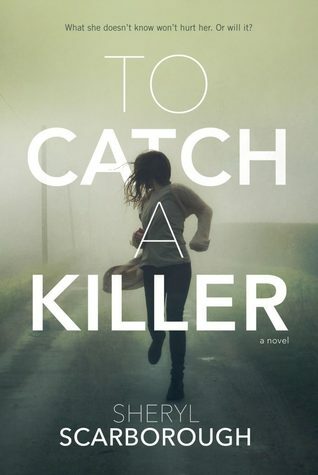 What I loved most about this book is how unsettled the story made me feel. I wasn't sure what was real and what was imagined, and I become positively giddy when an author achieves that. Cameron, the main character and narrator, has had a difficult time to say the least. Moving around all the time with a mom who's constantly on edge would be so hard. I empathized with him right away. How many times can a kid be expected to adjust to a new place with new people? 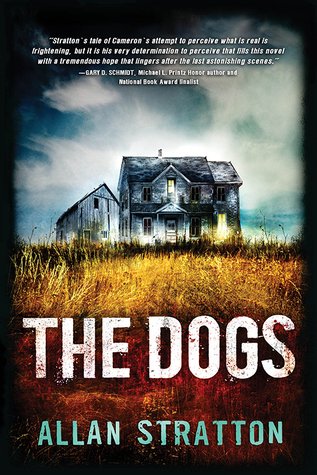 The Dogs is a well written book with a perfectly sized serving of the creep factor. What wasn't perfectly sized was the length of the novel. I think there was more story to tell but didn't get told and was skipped over. I wish Stratton had gone into more depth. I wanted more, which is a good thing. The Dogs was a quick read, and while short, had a satisfying ending. No matter what time of year you choose to pick this book up, you're guaranteed to get the chills. 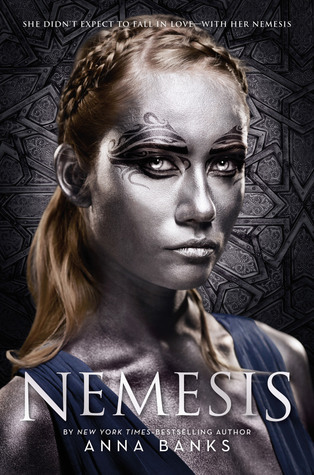 Nemesis is the first book by Anna Banks I've read, and wow, she knocked it out of the park! 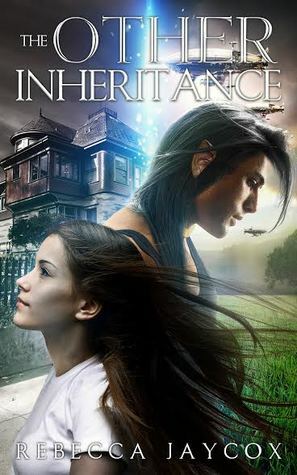 This was a YA fantasy that was a really awesome read and excited me enough to want to delve into the genre again. It's been a while since a book in this genre has been able to do that for me. Nemesis is told alternately from Sepora's 1st person POV and Tarik's 3rd person POV. Sepora and Tarik each have an ability that adds to their personalities and makes them even more interesting. Sepora is the last Forger, a person who can create a substance called spectorium. I'm still not 100% sure what it is, but I do know it's special and sounds like it would be pretty to see. Tarik is a Lingot, a person who can speak all languages and discern the truth from lies. One of the main problems the characters in Nemesis face is the plague sweeping through Tarik's kingdom, Theoria. It was nerve wracking to see how Sepora would get around Tarik's ability because she needed to keep the fact that she can Forge a secret as well as other aspects of her true identity she needed to keep hidden. She was cool and confident though she had every reason to sweat it every time she had to be around Tarik. I admired that about her. Then there's also the romantic tension between Sepora and Tarik. At first they can't stand each other, but slowly over time they grow closer. No instalove here though, so if that's something you don't like, there isn't anything to worry about. It was nice that the book's plot wasn't overtaken by romance, too. There were many more important things going on. I was really intrigued by the Parani, who are a kind of merfolk-type creatures with webbed hands and human-like faces. They guard Nefarite, a substance Theoria needs, and they are deeply feared and were captivating to read about. I'm not sure I'd want to meet one, though! I took off one star for two reasons. There was a lot to remember in the beginning - names of people and kingdoms including which kingdom was known for what. I admit I had to take notes to keep everything straight. The second reason is Sepora's name. Like other reviewers, I found myself pronouncing her name Sephora with an "h" after the beauty store, and it bugged me. I personally love this cover. It's what attracted me to check out Nemesis because I believe it stands out from most other covers. Beneath the interesting cover lies a story that stands out just as much. Whether you already love YA fantasy, or you've been looking to try it out, start with Nemesis.